Encyclopedic Version Full credit for this guide here: http://www.clarity.net/~adam/winter-storage.html I like efficiency, so I've trimmed fluff and left whats necessary (example: removed multiple reminders not to run the bike indoors) Summary of things to do IN ORDER (details below): Find a place to store it & get tools Sheltered from elements, away from chemical fumes and ozone. Get chemicals you need -- gas stabilizer, cleaning supplies. Run the bike, fill the tank, stabilize the gas Take the bike for a ride, swing by a gas station on your way home. Change the oil While the engine is hot -- it gets more junk out. Put bike on stands If you can, take the weight off the tires. Spray fogging oil in cylinder(s) To keep the rings and cylinder walls from rusting. Cover intake/exhaust with bags While the bike is warm, cover the air box snorkels and exhaust pipe. Final fuel system checks If your bike has one, switch the petcock off. Remove and charge the battery Wash, dry, and wax dry the bike Get the corrosive road salt and chemicals off. Protect the bike's exposed metal Spray exposed metal parts (not the brakes!!) to prevent rust/corrosion. Lock it up so it doesn't get stolen! Cover It With a breathable material that will keep dust off. Stuff to do over the winter while you're not riding. Taking the bike out of storage Things to do when it's time to get back on the road. For the curious... Why these steps are in the order they're in. Important Note These instructions are intended to be followed in order to minimize the bike's exposure to corrosive agents and prolong its life & good looks. This guide assumes the vehicle is being stored for more than a month and less than a year. There may be other procedures to should follow if you plan to store the vehicle for longer. Storage of less than a month in temperatures above freezing, you don't really need to do anything. (Unless you have an alarm system that may drain the battery, in which case you need to charge the battery or disconnect the alarm.) If it's going below freezing, bring the battery indoors so it doesn't freeze. You don't have to follow this stuff to the letter, but thought has gone into the order and the specific things done. Please read through this whole document before you start -- suggestions in later steps might affect how you go about doing earlier ones. 1. Find a place to store it, get the tools you'll need (1-2 hours) This is a good step to do as you're beginning to plan the storage of the bike. Not at the last minute. Find a good place to store the motorcycle, away from extreme temperatures (inside, if possible). Chemical fumes can dry out and attack the bike's organic (rubber) parts, so don't put the bike in an area that'll expose it to this stuff. Electric motors and heaters generate ozone, which is also bad for rubber, so keep the bike away from ozone sources too. Find a smooth, level place that's out of the way where it won't get knocked over. It's probably bad to store the bike on dirt: moisture rising out of the soil could collect under a cover and cause your bike's metal bits some grief. Make sure it's stored on a dry surface. Very important: go to the local auto-parts place and buy a can of fuel system stabilizer - any brand. Shopping list: fuel stabilizer enough cheap oil to do an oil change a new oil filter (OEM preferred) any cleaners you plan to use when washing & waxing the bike You might also want to buy (if you don't already have) any tools that you will need to take the bike's gas tank, bodywork, windscreen, and spark plugs off. 2. Run the bike, fill the tank, stabilize the gas (1-2 hours) (You're about to wash the bike, so it's OK to take it for one final ride on salt-infested roads.) Take the bike out for a spin, fill the tank on the way back. If possible, add the fuel stabilizer you bought right before you fill the tank - that'll mix things up better. Make sure the tank is full when you store the bike, so wait until the end of the ride to fill up. You want to get the bike nice and hot, so make sure you're out for long enough to get the engine up to operating temperature for a while. Ride around for at least 20 minutes before visiting the gas station. This does two things: Burns off condensation that's formed in the engine. Gets the oil hot, which stirs up combustion by-products and makes it easier to remove them when you do the oil change. If you haven't already, add the fuel stabilizer to the tank when you return to the storage location. You'll need to run the bike for another 5 minutes or so to make sure that stabilized fuel has worked its way through the fuel system. Warning for chrome pipes: running a stationary bike for an extended period may slightly discolor pipes due to a lack of cooling airflow. Stabilizing gas is probably the most important thing to do when storing your bike. Gasoline is a blend of dozens of different compounds. Over time, the more volatile compounds will evaporate, leaving a hard sludge that will gunk up your carburetors and prevent them from working. Gasoline stabilizer (largely) prevents this from happening. You must stabilize the gasoline in your fuel system before storing your bike! Even if your bike doesn't have carburetors. There's a section on why I don't drain my bikes' float bowls at the end of this document. 3. Change the oil (1 hour) Change the oil before you store the bike. Old oil contains combustion by-products, so do an oil and filter change now that the bike is still warm from being run. This is probably the second-most important step of storage, and possibly the only one that will cause permanent damage if skipped. Some guides suggest filling the engine cases with oil. Don't do this. Do a normal oil change and put the normal amount of oil in per your owner's manual. Filling the cases is both wasteful and dangerous; if you start the engine with oil-filled cases, you stand a decent chance of damaging the engine. You're probably going to get rid of this oil fairly early next season, so don't get expensive oil. Get the cheapest proper oil per your owner's manual you can find. After you change the oil, start the bike for a minute or two to distribute fresh oil throughout the engine, insuring that the remnants of the old oil are diluted. Only do this post-oil-change step if the engine is still warm from step 2. Don't do this step if the engine has cooled, as running the engine briefly will just form condensation in the engine. (The same reason you don't want to run the engine during the winter.) 4. Put the bike on stands (5-10 minutes) If you have a centerstand, you're set & and skip to section 5, below. If you have a pair of bike stands (swingarm stand & fork stand/front-end stand that holds the bike from the steering stem), put the bike up on the stands and store it that way. If you don't have stands, remember you may want to take more care with tires over the course of the winter. (See below.) 5. Spray fogging oil in cylinder(s) (10 minutes - 2 hours) You may need to remove the gas tank to access the spark plugs. Some models may need to loosen or remove the radiator or oil cooler. After clearing out dirt/grit from around the spark plug holes (compressed air works), remove the spark plugs and spray "fogging oil" (available at motorcycle or marine shops) into the cylinders. If you can't get some, squirt in a little motor oil (or, failing that, some WD40) to lubricate the cylinder walls. (Not more than a teaspoon per cylinder!) If you can't get the spark plugs out and you're feeling up to it -- pop the carburetors off and spray some oil in via the intakes. Make sure you spin the engine a bit using the rear wheel top gear trick (next paragraph) to make sure closed intake valves don't prevent oil from getting into all cylinders. If your bike has a centerstand, or you've raised it off the ground with other stands, put the bike in the top gear and (by hand) rotate the rear wheel to slowly spin the engine. Make sure the ignition is switched off when you do this, and don't use the starter in lieu of spinning the rear wheel by hand. After ~10-15 revolutions, the cylinder walls will be well coated. If you're not going to be able to get the rear wheel off the ground to spin it and spread the oil around, make sure you use fogging oil (preferred) or WD40. They'll distribute themselves a bit better than a little squirt of motor oil. If you don't have fogging oil, use some of the leftover motor oil from the oil change just done. All you're trying to do is lube the cylinder walls and prevent the rings from sticking. Motor oil will do a marvelous job -- this is precisely what it's engineered to do. No mystery products required. Reinstall the spark plugs, being careful not to cross-thread them. Optional: dab a little anti-sieze on them to protect the threads. Put the bike back in neutral. Briefly skip ahead to the next section for a quick note on covering the air box's intakes. Reinstall gas tank / radiator if removed. 6. Cover intake/exhaust (10 minutes) After the exhaust has cooled but preferably while the engine is still warm, squirt a little WD40 into each pipe and cover the tip(s) of them with a balloon or a plastic bag to prevent moisture from getting to the engine. Make sure it's airtight -- rubber bands work well. Cover the air box's intake(s). If you need to remove the gas tank to spray fogging oil into the cylinders (previous step), you can cover the air box's intake(s) while you have it off. You may also want to cover the air box's drain hose. 7. Final fuel system checks (5 minutes) After step 2, stabilized gas has worked through the fuel system and you don't need to drain the carburetors' float bowls. (See below.) If your fuel petcock has settings like ON/RES/PRI, leave the petcock set to "ON." If your petcock has settings like ON/RES/OFF, switch the petcock to "OFF." If your bike doesn't have a fuel petcock (fuel injected) skip to the next step. 8. Remove and charge the battery (5-45 minutes) The bike doesn't need its battery over the winter, and you want to prevent it from freezing. So take it out, take it inside, and keep it charged. If you're storing the bike in a place where it won't be exposed to freezing temperatures, you don't need to remove the battery from the bike except to clean the battery and battery box (explained below.) Don't neglect to keep the battery charged. Batteries contain water, and water expands when it freezes. If it gets cold enough, the water/acid solution in your battery could freeze & crack the battery. Keeping a lead-acid automotive battery happy means keeping it charged. The best method is a smart charger, like the "Battery Tender" (~$50), that will charge it as much as it needs to and won't overcharge. Put your smart charger on and, with the exception of periodic fluid level checks and other maintenance mentioned below, you can forget about it all winter. If you can't afford or don't want a smart charger, buy a cheap 12v trickle-charger (~$10) and hook it up to an automatic timer for about 30 minutes of trickle-charging a day. You may be able to rig it up to your garage door opener, giving it a few minutes of charge each time the garage door is opened. A few minutes of trickle-charging a day is probably sufficient to keep the battery charged. Unless you have a maintenance-free battery, check the battery's fluid levels regularly to make sure the charger isn't boiling away the electrolyte. If the levels are low, add distilled water only to bring the levels back up. Charge the battery in a well-ventilated area, particularly if your battery isn't "maintenance free." Batteries can emit hydrogen gas while charging, which is fairly explosive. "Maintenance free" batteries don't need cleaning (except for the terminals, noted below) unless it looks like battery acid has leaked out, in which case you should follow the suggested maintenance for regular batteries: clean the outside with a baking soda/water solution to neutralize acid unless you're certain no acid has escaped. Likewise for the inside of the battery box. Then clean the outside of the battery and the inside of the battery box with a warm soapy water solution -- even those of you with "maintenance free" batteries and those of you who skipped the baking soda step. Dry things very thoroughly afterwards! All batteries: clean the terminals with a wire brush and lube them with a dielectric grease. Putting batteries on cement floors is a wive's tale. As long as the outside of the battery is clean and dry, you have nothing to worry about. Just prevent the battery from freezing, and make sure it stays charged. 9. Wash, dry, and wax the bike (hours?) Wintertime has a lot of salt on the roads. Clean this stuff off before you store your bike! Mild soap and water is fine, or use a bike-specific cleaning chemical. Make sure you wash the underside of the bike, wheels, suspension components, etc. Don't forget to dry the bike. The engine (still be hot from your ride) may be able to evaporate the water off, but you'll still want to get the water off the wheels, frame, etc. Drying the bike is really important; do a good job. Wax painted parts to prevent oxidizing over the winter. Pressure-washer warning: pressure that pressure-washers generate can do bad things to motorcycles. Take care not to point the powerful stream of water at bearings, seals, etc. Water under high pressure can force its way past seals, displacing grease, corroding bearings, etc. Be careful. 10. Protect the bike's exposed metal (10-30 minutes) Don't apply chemicals or lubricants to brake pads, brake rotors, or tires. This section is about protecting the frame, the rims, the chain, etc. Don't mess with the brakes. If you get chemicals on them, clean them thoroughly with brake cleaner. Spray the exposed metal parts of the bike (particularly the underside) with a rust inhibitor like WD40, cosmoline, or Maxima's Chain Wax shoul. (Believe it or not, Chain Wax works very well for this purpose!) These chemicals will prevent rust and corrosion from making any progress while in storage. PJ1 makes a rubber-protecting chemical that seems to keep rubber from dry rotting. Although you shouldn't spray any chemical on your tires, other rubber parts might benefit from some of this stuff. Rusty spots (except on the brake rotors) should probably be attended to over the winter. See the section on stuff to do over the winter, below. If you get any ChainWax/WD40/cosmoline on the bike's pretty parts, do a little touch-up washing to prevent the chemicals from staining the finish over the winter. Diluted "Simple Green"/organic de-greaser followed by Honda Pro Oils "Spray Cleaner & Polish" or Meguire's "Quick Detailer" should work well. 11. Lock it up (5 minutes) Depending on where you store your bike, you may want to put a lock on it. Keep in mind that determined thieves can cut through anything, and the best protection against theft is insurance. You may not be able to insure the bike against theft ("comprehensive") if you cancel the registration or stop collision/liability coverage over the winter. Check with your insurance agent to make sure you're receiving the coverage that you want. Buy a good chain from a reputable company (Cobra-Links, Kryptonite's, etc.) and lock the frame of the bike to something relatively immovable and cover it(see below) -- covers help with theft protection. 12. Cover the bike (5 minutes) Print out the section on "Taking the bike out of storage" and tape it to the top triple-clamp with a removable tape. Make sure the bike has been well-dried after the washing. Use a breathable cloth cover so you don't trap moisture under the cover. Likewise, you want to keep water out, particularly if you're storing the bike outside. Purpose-made bike covers work well. Stuff to do over the winter Don't run the engine! You'll create condensation in the engine and combustion byproducts (acids, etc) in the oil. Winter is an excellent time to do other routine maintenance you've been dragging your feet about? Read through your owner's manual, and perform any service that gets done once a year or more frequently, even if it isn't quite time yet. At the very least: lubricate control cables and periodically operate all controls check (and adjust) chain/belt tension lubricate chain, or lube driveshaft check brake pads and rotors change fluids (brake, clutch, etc) inspect/replace/clean air filter check all bolts to make sure nothing is loosening inspect tires (for cuts, uneven wear, dry-rot, tread depth, etc) inspect swingarm and steering head bearings lube suspension, pivot points, grease fittings, etc Extra credit assignments: Change fork oil Change coolant (except for air-cooled bikes) Valve adjustment (except for two-stroke bikes) Disassemble/clean/reassemble carburetors (except for fuel-injected bikes) Mount new tires (if needed) If maintenance seems intimidating, start with simple stuff and tackle the more involved tasks when you feel up to it. Or find friends who are more experienced with bike maintenance and bribe them to help you. If you didn't have stands to get the tires off the ground, check the tires every month or so to make sure they're at normal operating pressure. You may also move the bike slightly every few weeks to prevent flat spots. Clean up rust spots with very fine grit sand paper down to bare metal and repaint. (This does not apply to the brake system.) Paint will not cure properly when it's really cold out, so if you aren't storing the bike somewhere warm, skip this step until the ambient temperature is over ~65 degrees. To paint the exhaust system, sand down to bare metal and use an extremely high temperature paint such as fireplace/stove paint. If you can track down a high-temperature etching primer, that'd be a good thing to use between the sanding and the first coat of paint. (The exhaust system gets so hot that conventional paints will be destroyed.) Order new spark plugs for your bike's return to use. (Optional, but usually inexpensive -- follow the maintenance schedule set by your bike's manufacturer.) Sign up for an early-season Motorcycle Safety Foundation Experienced Ridercourse. Taking the bike out of storage (1 afternoon) Make sure the tire pressures are set properly for normal use. Wash the bike to remove metal-protecting cosmoline/WD40/Chain Wax. Install the clean, well-charged battery. If your bike has a fuel petcock, turn the fuel system on. If petcock has ON/RES/PRI, set to "PRI" for about 20 seconds, then "ON." If petcock has ON/RES/OFF, set to "ON." Remove any plastic/rubber covers that you put on the air box intakes, exhaust pipes, and air box drain. Start the bike & let it run it for 20 minutes / long enough for the fan to come on twice. If applicable, turn the fuel system off. Optional: perform a full tune-up. Before burning that full tank you stored your bike with... If stored for more than two months, do an oil change. The cheap oil you stored the bike with probably absorbed combustion byproducts that the pre-storage oil change didn't remove. That's why you used cheap stuff -- you're getting rid of it. Now refill with whatever oil you prefer. You don't need to change the filter this time. After burning that full tank that you stored your bike with... use fuel system cleaner additive for a couple of tanks change spark plugs Take the Motorcycle Safety Foundation course that you signed up for. Enjoy the start of another season of riding! Why Things Are In The Order They're In Step one is basic prep. Get the tools for the job. Step two is critical because the engine needs to be up to temperature for the oil change, the fuel system needs to be stabilized and the tank filled (to prevent rust), and a hot engine will burn off any residual condensation or water in the engine/oil. These steps were combined because they can all be done together, as long as they're done in the proper order. Steps three is done before step four only because the post-oil-change engine running needs to be done in a ventilated area. Putting the bike on stands before the oil change would make the oil change easier, but then you'd just need to take it off when you moved it. Steps four through eight don't need to be done in any particular order, but need to be done after the engine is run and while it's still fairly hot. Step nine is where it is because some earlier steps may get oil on the bike, and it's nice to let the bike cool down (a little) before you wash it, since otherwise you could burn yourself. You could argue that step ten should go before nine, since there's a good chance that over-spray will get oil on the bike. Ten is after nine because nine will wash off salt and corrosion, which is what you want to do before you spray metal-protecting chemicals on the metal bits. Otherwise you risk sealing corrosive agents in. Why I don't drain float bowls: The fuel stabilizer will prevent the gas from turning solid. In my experience, the stuff works as advertised. Since you're stabilizing the gas, you shouldn't need to drain the float bowls. I don't bother and have never had problems -- provided I stabilize the gas. If you're not going to stabilize the gas, you must get all of the gas out of the carbs. The problem with only draining the float bowls is that you haven't removed all of the gas from the carburetor -- capillary action can hold fuel in the small passages inside the carburetor, and that's the stuff that's going to clog the carb's operation. Here are pictures of what can happen if you don't stabilize the gas: 1 / 2 / 3. The inside of the carb is covered in ooze that has blocked the jets. Complete disassembly and extended soaking in solvents was required to get it working again. Your carbs would continue to work fine with this ooze at the bottom of the float bowls as long as it didn't interfere with movement of the floats or clog any jets. Float bowls are just little puddles of gas; they still work just fine as puddles of gas if there's a little sludge stuck to the bottom of the puddle. But if the tiny passages get clogged... it's over, and there's no good way to get them clean short of removing the carbs and cleaning them with carb cleaner and compressed air. Thus the most important step, by far, is to stabilize the gas. 10-Minute Version Here's a solid 10 minute version that will work since we don't have particularly long or brutal winters in the tri-state area. This will keep you save and get you doing what needs to be done. Depending on your bike & how late into winter you ride, we have 2 guides for you. The first one is a quicker - but safe - 10 minute guide. Though it's quicker, it won't steer you wrong as we don't get super long or brutal winters in the tri-state. The 2nd is essentially an encyclopedia on winterization. Everything you can do, and explanation of why. Go here to see clubs, or here to create your own. What are Clubs? 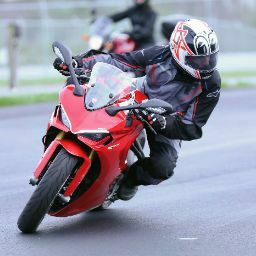 Clubs are your own group within Cincy Riders. Clubs you make can be: Public: Anyone can see and participate without joining the club. Open: Anyone can see and join, but can't participate unless they join the club. Closed: Anyone can see the club, but joining must be approved by a Club Leader or Moderator. Non-members can only see the club member list. Private: Don't show in public, and users must be invited by a Club Leader or Moderator Club Members Each club can have: Leader: Has all moderator permissions, can add moderators and content areas (see below). Moderators: Can moderate club content and remove club members. Users: Anyone else in the club. For closed clubs, people can request to join and must be approved. Leaders get a notification when someone requests to join; the user gets a notification when the request is approved/denied. Example: Club Content Clubs can have forums, calendars & media galleries. Club Custom Fields Clubs support custom fields (reply to this thread with requests for Custom fields). Values entered appear on the club homepage. Examples below (Manufacturers, Status): Club Locations Clubs support Google Maps, letting you specify a physical location for your club. Example: if you run regular meetups, you can set your club to a particular spot. The Club Owner sets the location when setting up the club, and clubs are then shown on map on the directory page. Example: Within a club, the location is shown too: Go here to see clubs, or here to create your own. Below are quick tips for making group rides go smooth. Most importantly: Ride at your own pace. Ask beforehand about the route & pace, and be sure you can comfortably keep up. Struggling to keep pace has bad results. Be ready! Gas up,gear up & hit the restroom before the ride starts. Know who is leading, and who is trailing. Try to stick to the same order between stops. Stagger lane position (left & right). Pass vehicles 1 rider at a time. DON'T tailgate, and DON'T drop so far back you lose the pack. Take stop signs as a group: individual bikes typically don't need to completely stop. Watch our for fellow riders. If someone is struggling, let the lead rider know as soon as safely possible.